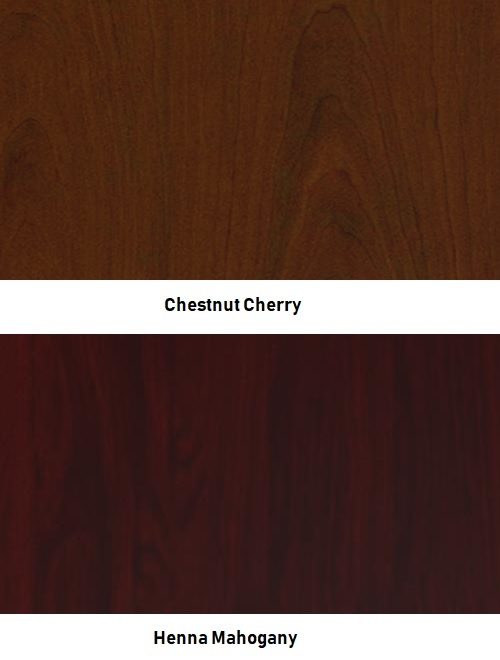 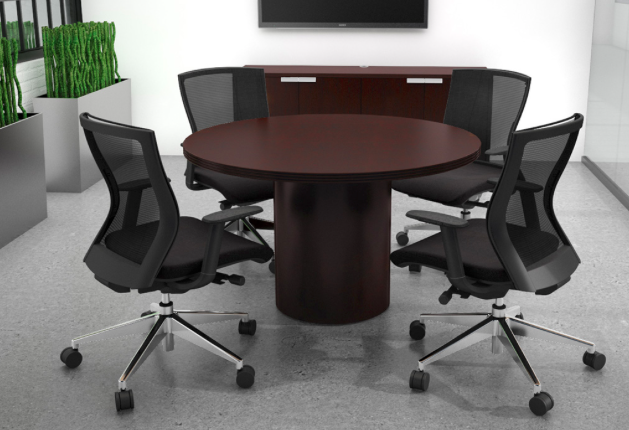 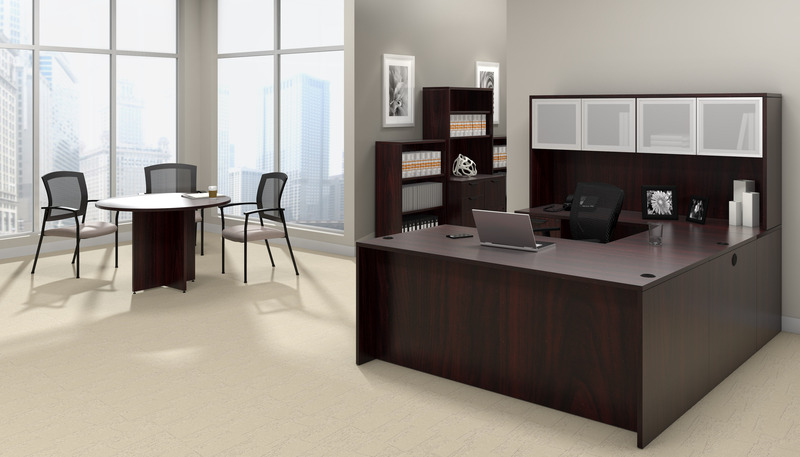 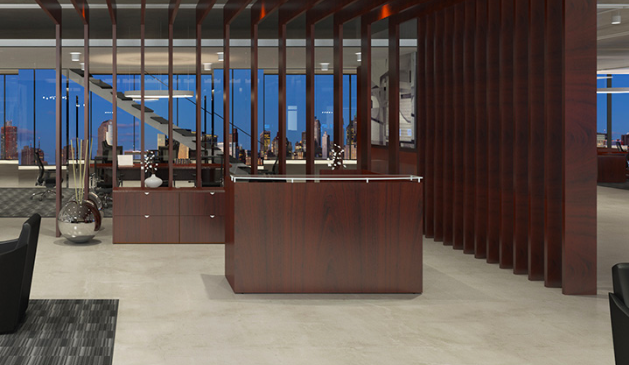 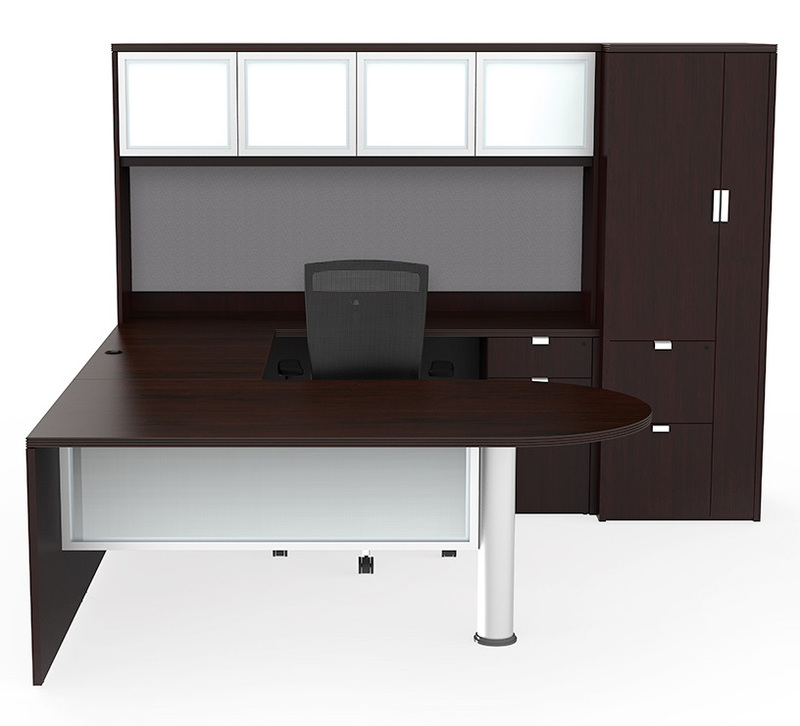 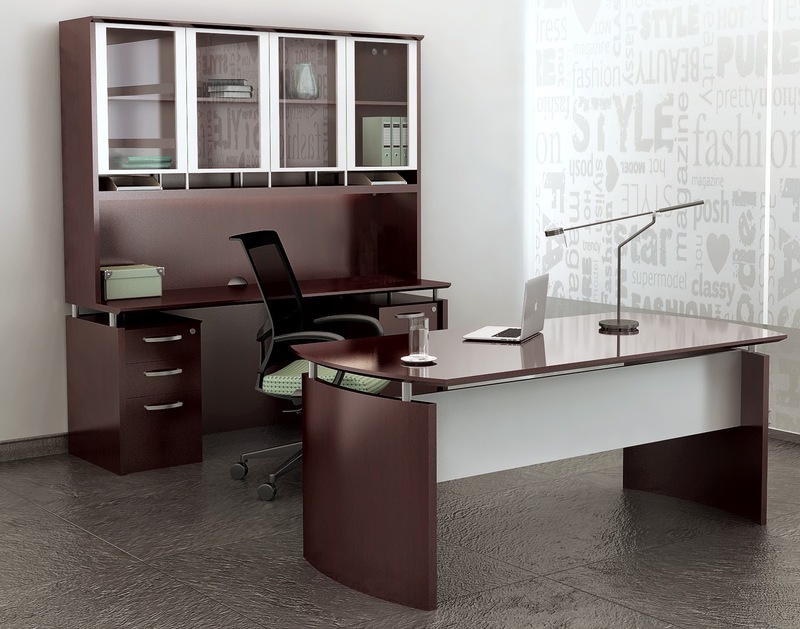 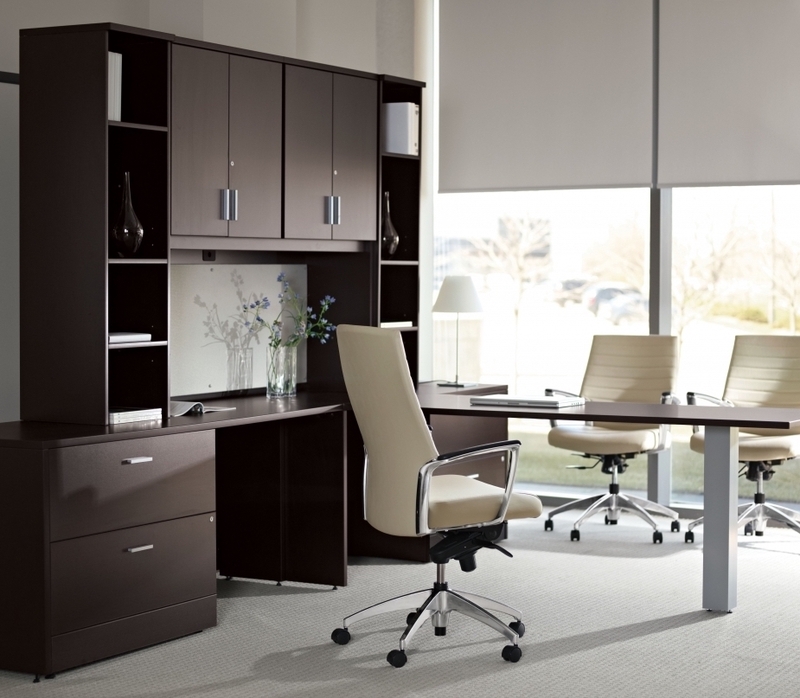 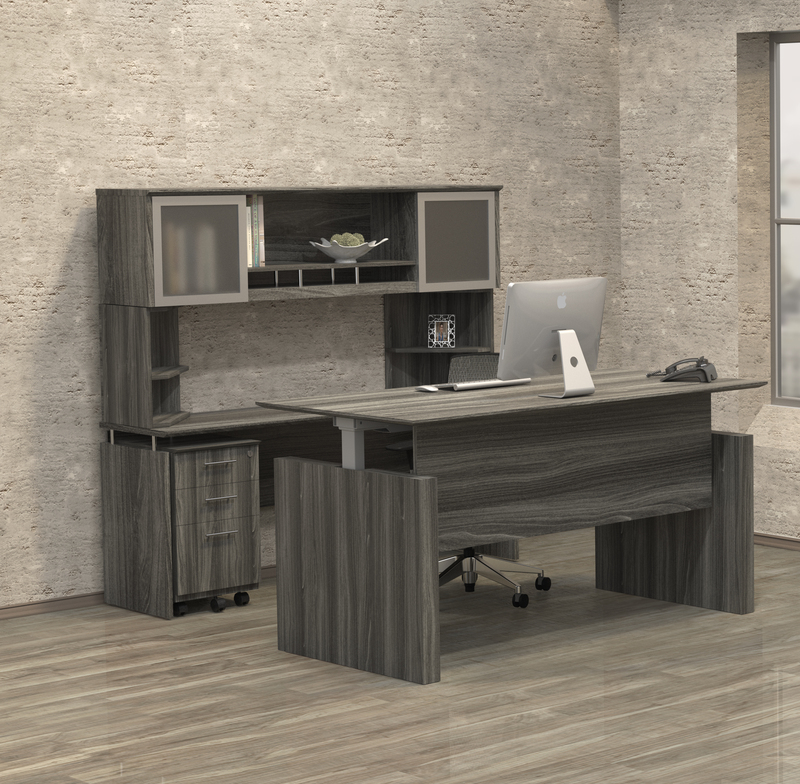 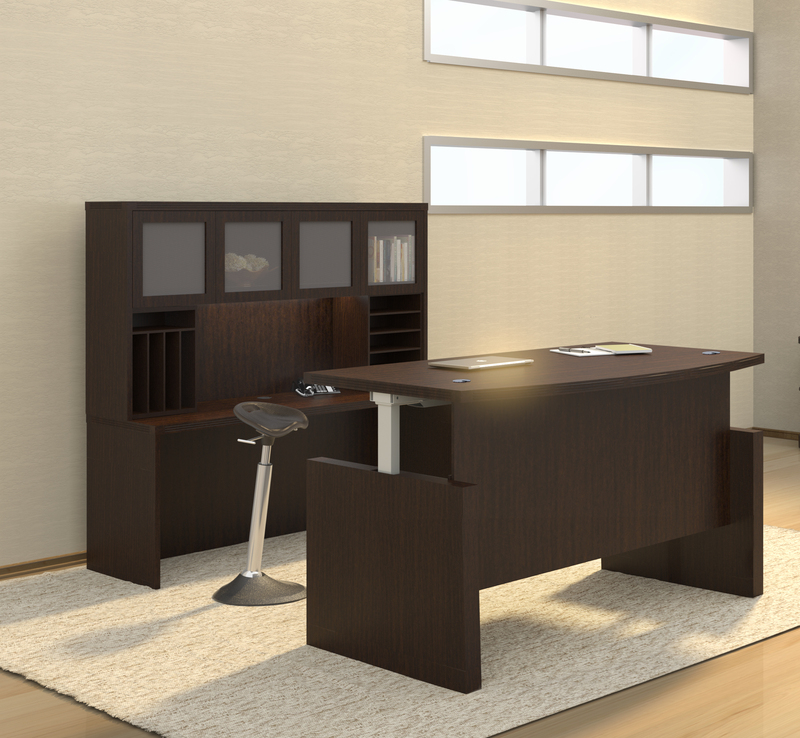 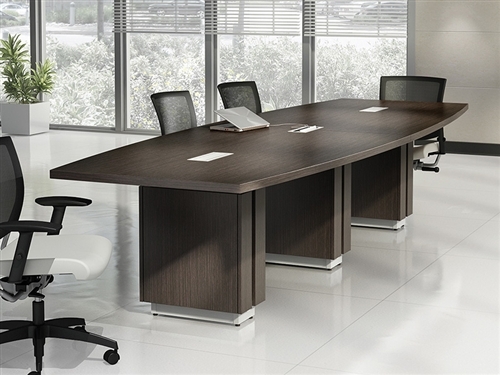 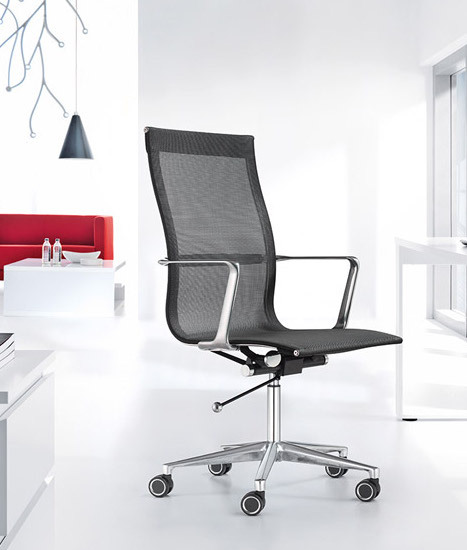 Create the ultimate executive office interior with this luxurious U-shaped executive desk configuration from the Cherryman Jade series. 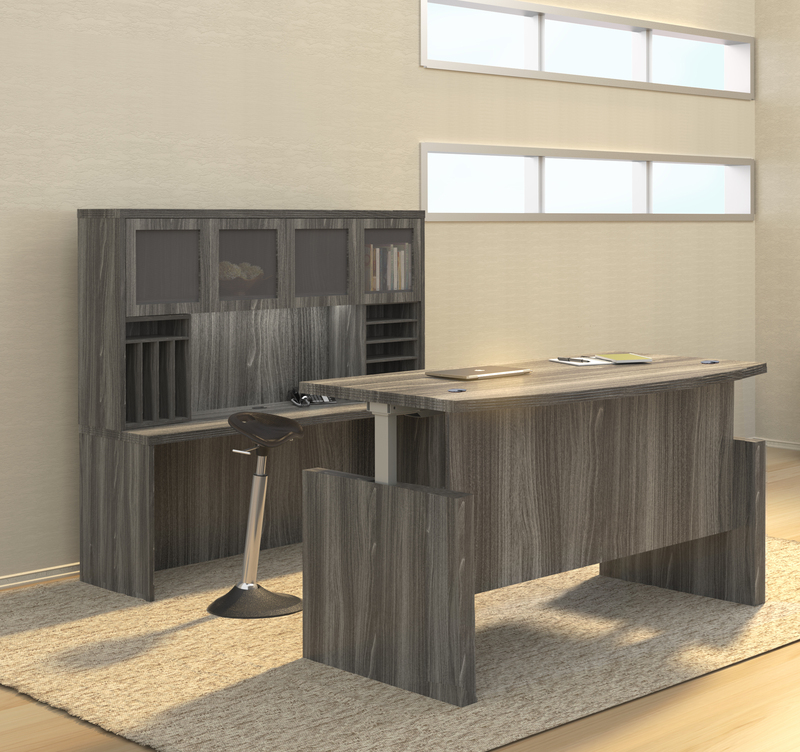 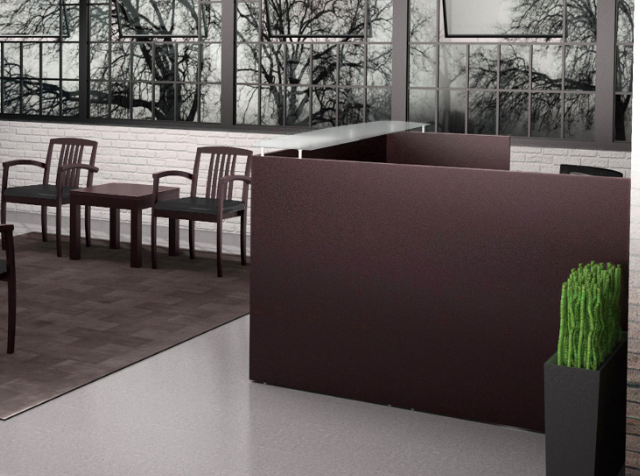 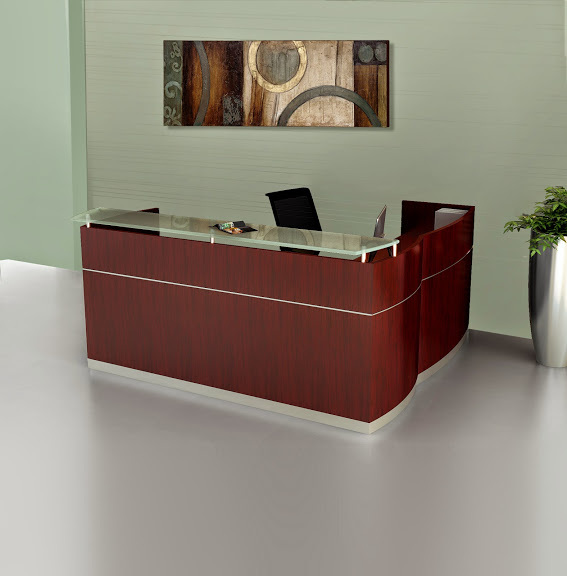 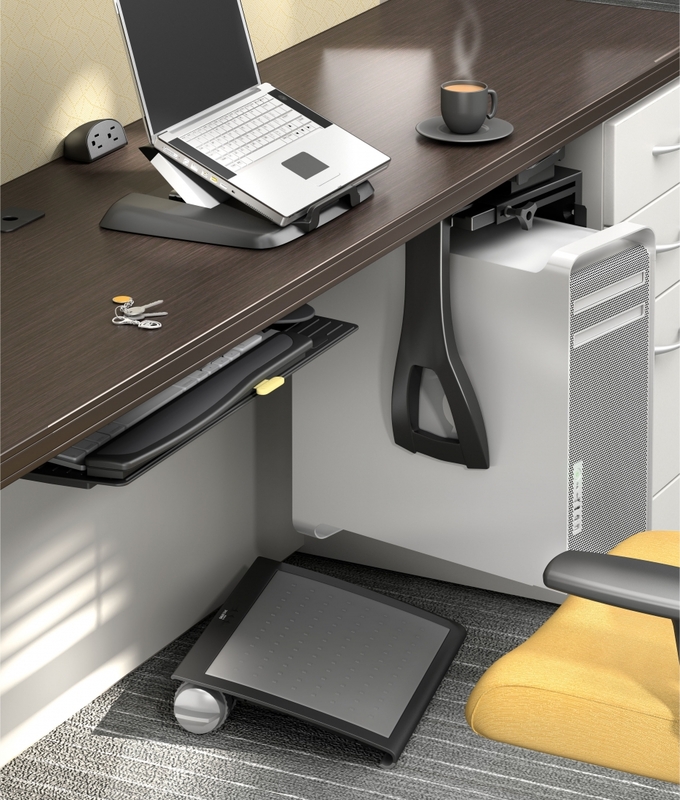 The JA-156N boasts a collaborative front desk that connects to a return and rear wall credenza topped with a glass door hutch. 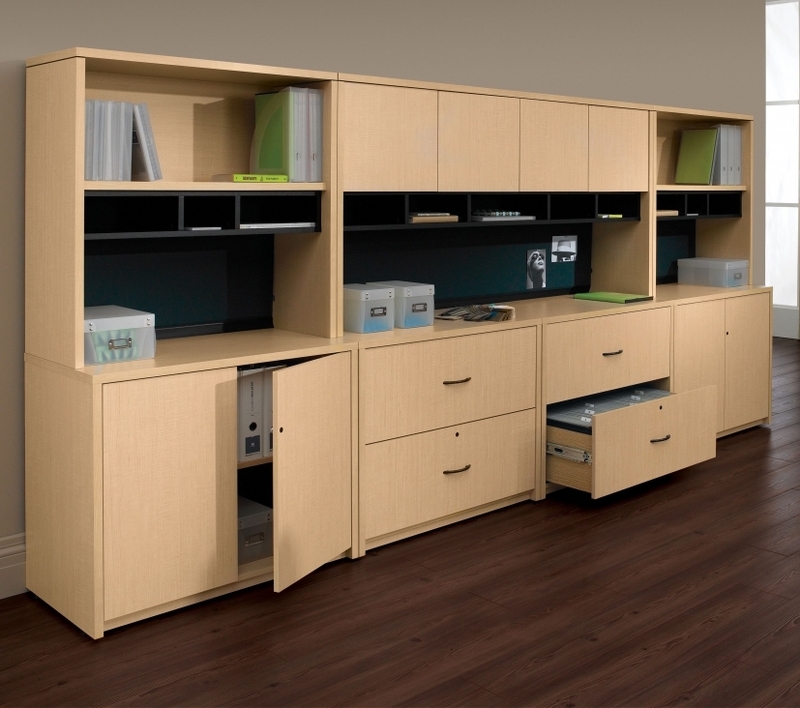 The freestanding wardrobe cabinet is a nice touch that provides exceptional storage space.